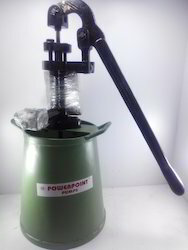 POWERPOINT motorised Hydro testing pump 70 bar pressure. We are the leading organization engaged in providing excellent quality Hydro Test Pumps which is used for hydro test of pipe, tube, cylinder, hose, etc. 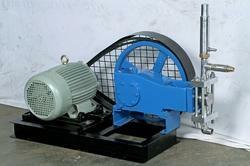 Our offered pump is manufactured by using high grade material that is sourced from the authentic vendor of the market. We design this pump at our well established manufacturing site in both standard as well as customized options to meet the diverse requirements of the clients'. We are an eminent name, which is engaged in delivering Motorised Hydro Test Pump to our clients. The offered range of hydro test pumps is available in varied customized designs, shapes, colors and allied specifications as per the diverse requirements of esteemed clients. Along with this, the offered range of hydro test pumps is checked on different parameters so as to ensure its compliance with the industry laid norms and standards. · Totally Dependable , Reliable and Efficient performance. 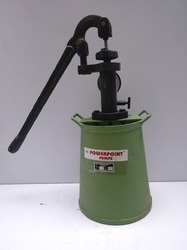 "POWERPOINT" manual hydro test pumps are available in sizes of 35 Bar upto 1000 Bar. 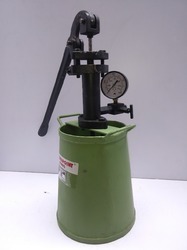 We are the leading organization engaged in providing excellent quality Manual Hydro Test Pumps which is used for hydro test of pipe, tube, cylinder, hose, etc. 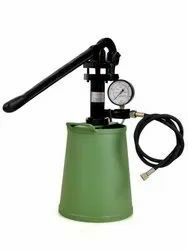 Our offered pump is manufactured by using high grade material that is sourced from the authentic vendor of the market. 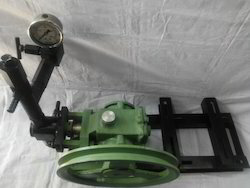 We design this pump at our well established manufacturing site in both standard as well as customized options to meet the diverse requirements of the clients'. 2. Discharge Pressure hose with attachment of ½" BSP (F) Length 1.5 meters. 6. Water tank made from Mild steel. Looking for Hydro Test Pumps ?